When will be AKC National Championship Dog Show next episode air date? Is AKC National Championship Dog Show renewed or cancelled? Where to countdown AKC National Championship Dog Show air dates? Is AKC National Championship Dog Show worth watching? The AKC National Championship Dog Show is one of the world's premier dog events, annually showcasing competitions, seminars and a new National Champion. Presented by Royal Canin. The three-hour special, featuring America's most beloved dog breeds, will be anchored by AKC Vice President Gina DiNardo and sportscaster Jason Knapp. Actor, television personality, and dog lover Jerry O'Connell will make special appearances throughout the show, taking viewers on a journey where, together, they will learn about purebred dogs at their best, what the judges are looking for, and what happens behind the scenes at one of the most prestigious dog shows in the world. 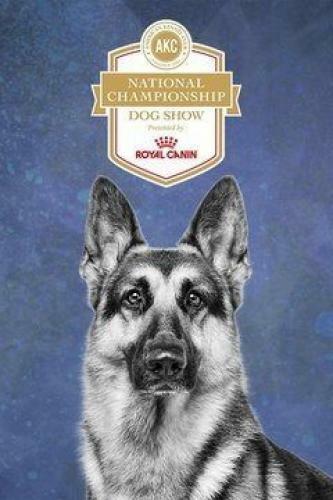 AKC National Championship Dog Show next episode air date provides TVMaze for you. EpisoDate.com is your TV show guide to Countdown AKC National Championship Dog Show Episode Air Dates and to stay in touch with AKC National Championship Dog Show next episode Air Date and your others favorite TV Shows. Add the shows you like to a "Watchlist" and let the site take it from there.